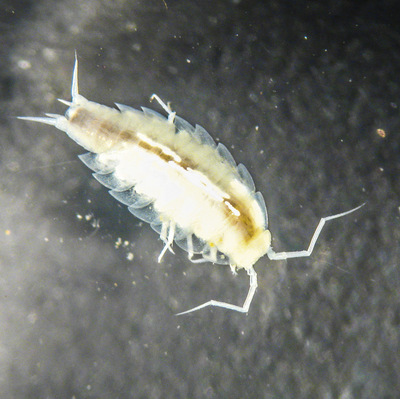 A crustacean from the Alpioniscus species. 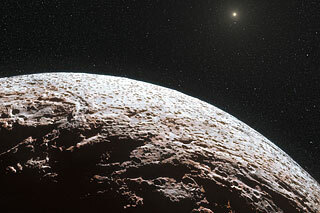 Artist’s impression of the surface of the dwarf planet Makemake . 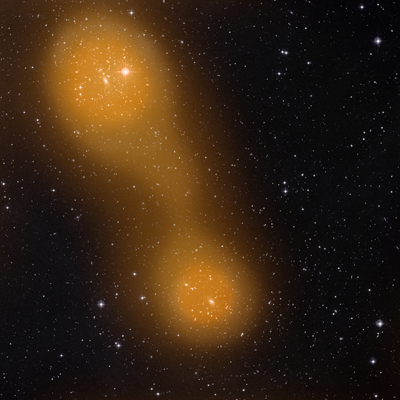 Galaxy clusters connected by gas bridge. Galaxies come in all shapes and sizes: from those with compact fuzzy bulges or central bars to galaxies with winding spiral arms. Astronomer Edwin Hubble classified these different breeds of galaxies by means of a diagram known as the Hubble Tuning Fork. The tuning fork shape presents elliptical galaxies along the handle, and two different populations of spiral galaxies on the fork’s ‘prongs’ to differentiate between spiral galaxies with a central bar, and those without. 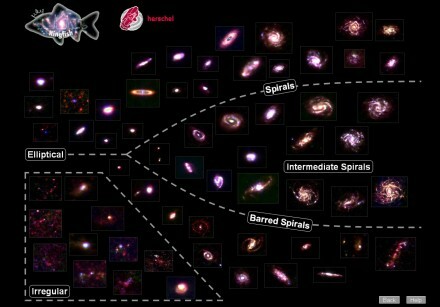 The diagram also describes the shape of the galaxies. Elliptical galaxies are positioned further along the handle towards the fork depending on how elongated they appear, while spiral galaxies are organised by how tightly wound their arms are. Of course, there are always exceptions, and a separate class of ‘irregular’ galaxies conforms to neither group, perhaps as a result of a collision or merging event disrupting their shape. In this interactive tuning fork diagram, 61 nearby galaxies studied by ESA’s Herschel and NASA’s Spitzer space telescopes are presented. The galaxies are located 10–100 million light-years from Earth and were surveyed as part of two programmes: the Key Insights on Nearby Galaxies: a Far-Infrared Survey with Herschel (Kingfish) and the Spitzer Infrared Nearby Galaxies Survey (Sings). Rather than stars, the images show dust between them that is gently heated by hot young stars, visible only to heat-seeking infrared telescopes such as Herschel and Spitzer. Each individual image is a three-color composite showing warm dust (blue) detected by Spitzer at 24 microns, and cooler dust traced by Herschel at 100 microns (green) and 250 microns (red). By clicking on each of the galaxies, more information is provided about their classification, distance, size and location in the sky. The galaxies were chosen to cover a wide range of characteristics to improve our understanding of the processes linking star formation to the local interstellar environment in the nearby Universe. 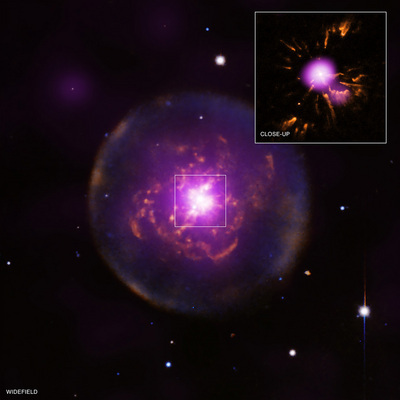 Abell 30: a born-again planetary nebula. 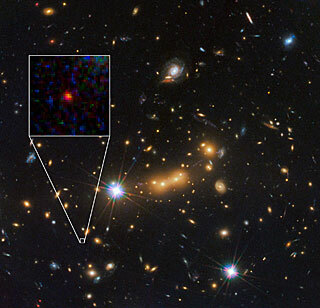 Hubble spots candidate for most distant known galaxy. Image credits: NASA, ESA, and M. Postman and D. Coe (Space Telescope Science Institute), and the CLASH team. Improved spatial resolution from GOCE. MESSENGER has discovered assemblages of tectonic landforms unlike any previously found on Mercury or elsewhere in the Solar System. The findings are reported in a paper led by Smithsonian scientist Thomas Watters, “Extension and contraction within volcanically buried impact craters and basins on Mercury,” published in the December issue of the journal Geology and available online at http://geology.gsapubs.org/content/40/12/1123.full. The surface of Mercury is covered with deformational landforms that formed by faulting in response to horizontal contraction or shortening as the planet’s interior cooled and surface area shrank, causing blocks of crustal material to be pushed together. Contraction from cooling of Mercury’s interior has been so dominant that extensional landforms caused by fault formation in response to horizontal stretching and pulling apart of crustal material had not been previously documented outside of the interiors of a few large impact basins. 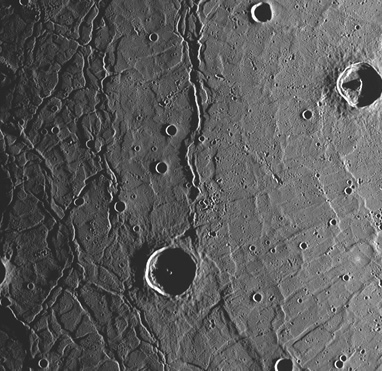 The MESSENGER spacecraft, in orbit around Mercury since March of last year, has revealed families of extensional troughs, or graben, that are encircled by contractional wrinkle ridges arranged in circular rings. The troughs can form complex patterns varying from the outlines of polygons inside the ridge rings to arcs that parallel the bounding ridges. “The pattern of winkle ridges and graben resembles the raised edge and cracks in a pie crust,” said Watters of the Center for Earth and Planetary Studies at the National Air and Space Museum. The “pie crust” analogy also fits another notable aspect of these collections of tectonic landforms – their association with “ghost” craters. Ghost craters are impact craters that have been flooded and buried by lava flows. The thin volcanic deposits overlying the rim of a fully buried impact crater serve to concentrate contractional forces, leading to the formation of a ridge ring that reveals the outline of the buried crater. 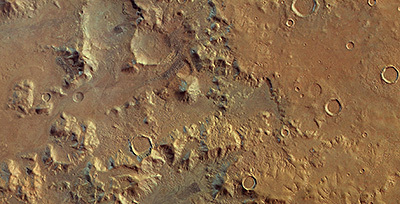 “The special arrangement of the wrinkle ridges and graben in many of the ghost craters on Mercury is due to a combination of extensional forces from cooling and contraction of unusually thick lava flow units and contractional forces from cooling and contraction of the planet’s interior,” says Sean Solomon of the Columbia University’s Lamont-Doherty Earth Observatory, coauthor and principal investigator of the MESSENGER mission. The eruption and rapid accumulation of very fluid lava flows into thick cooling units on a planet undergoing a high rate of global contraction may be why these systems of tectonic landforms in ghost craters on Mercury have not been seen elsewhere in the Solar System. NASA is marking two milestones in the search for planets like Earth; the successful completion of the Kepler Space Telescope's 3 1/2- year prime mission and the beginning of an extended mission that could last as long as four years. Scientists have used Kepler data to identify more than 2,300 planet candidates and confirm more than 100 planets. 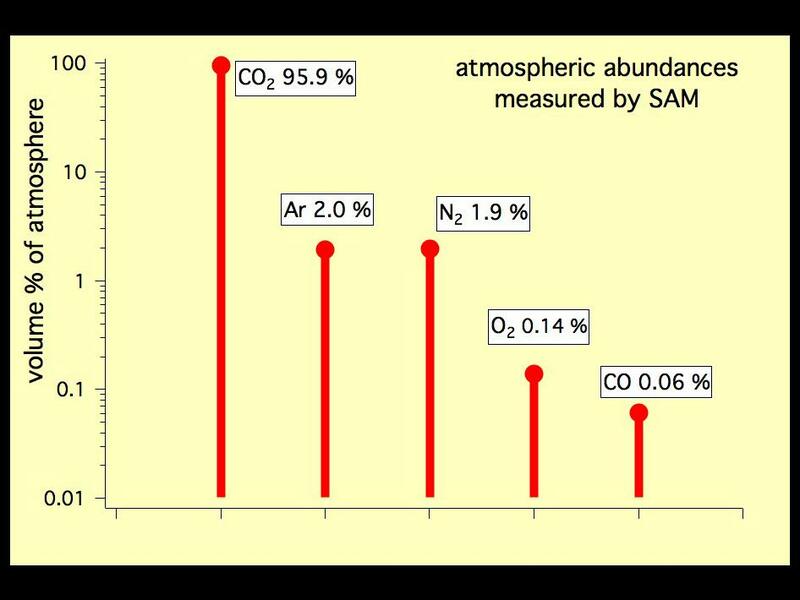 Kepler is teaching us the galaxy is teeming with planetary systems and planets are prolific, and giving us hints that nature makes small planets efficiently. The total solar eclipse of 13/14 November 2012. Image credits: Anik De Groof. ESA’s Sun-watching Proba-2 satellite experienced three partial solar eclipses last night while lucky observers watching from northern Australia were treated to a total solar eclipse. 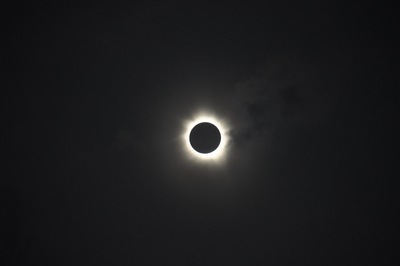 During a total solar eclipse, the Moon moves in front of the Sun as seen from Earth, their alignment and separation such that the much closer Moon appears large enough to block out the light from the much more distant Sun. Since Proba-2 orbits Earth about 14.5 times per day, it can dip in and out of the Moon’s shadow around the time of a solar eclipse. The constant change in viewing angle of Proba-2 meant that the satellite passed through the shadow three times during the eclipse yesterday, as shown in the video presented here. 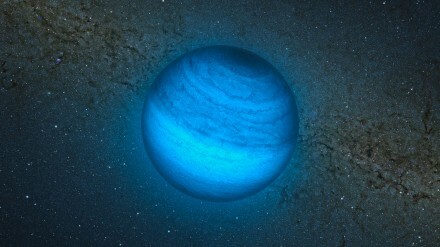 Lost in Space: Rogue Planet Spotted? category: ESO, Extrasolar Planets Comments Off on Lost in Space: Rogue Planet Spotted? Artist’s impression of the free-floating planet CFBDSIR J214947.2-040308.9. 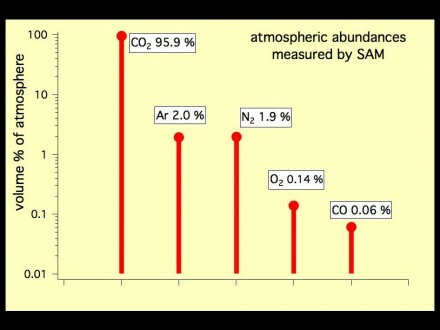 Atmosphere measured by SAM in October 2012. NASA's car-sized rover, Curiosity, has taken significant steps toward understanding how Mars may have lost much of its original atmosphere. category: ESO, Globular Clusters, Stellar Evolution Comments Off on Ancient and Modern Stars? 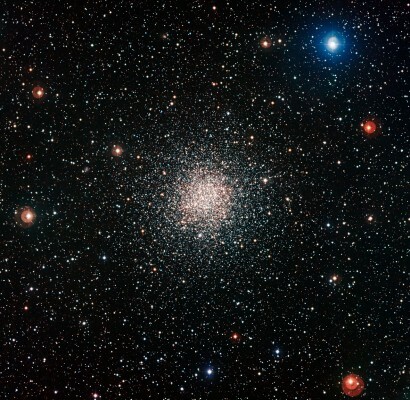 The globular star cluster NGC 6362.